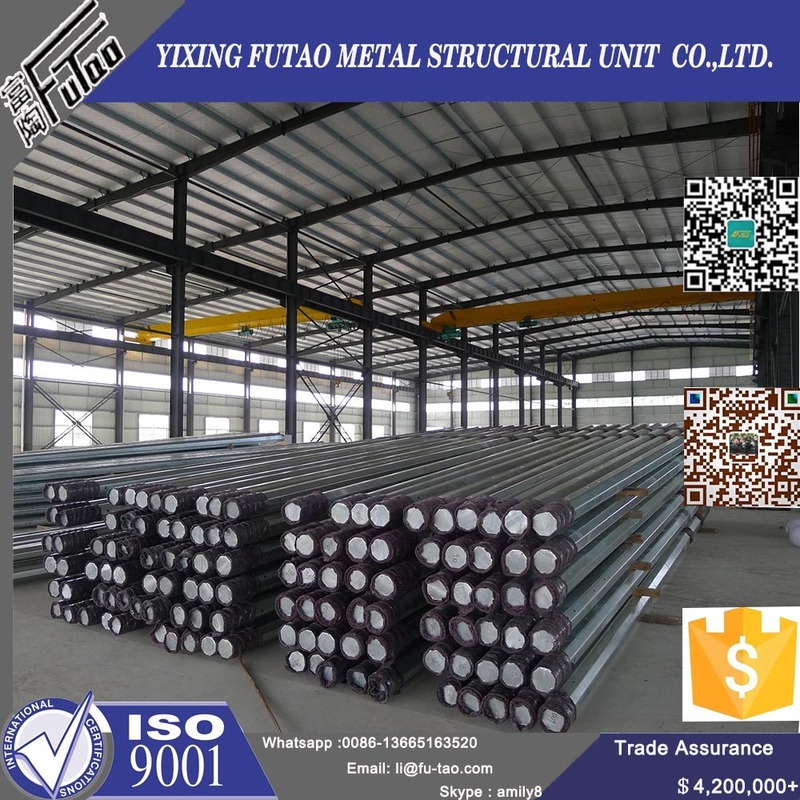 Product categories of galvanized steel pole, we are specialized manufacturers from China, Galvanized Steel Pole, Galvanized Steel Electric Pole suppliers/factory, wholesale high-quality products of Monopole Galvanized Steel Electric Pole R & D and manufacturing, we have the perfect after-sales service and technical support. Look forward to your cooperation! Our lighting equipment are made from quality sheet from bending,forming,automatic welding and hot galvanization.We can reach one-run machining length of 14m,and can bend sheet thickness up to 25mm.We adopt advanced welding procedures ,automatically weld main joints and reach rank-II welding quality.